Golf Trolley Wheel Clutches, Golf Trolley Battery Leads, Speed Control Switches. Power problems, Battery, Electrical, Switches. Mechanical problems Wheels, Pulling to one side. 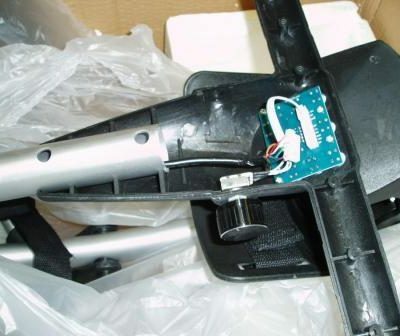 How to diagnose a fault or problem with your electric golf trolley. Support FAQs and Help on How to Fix, Pulling to one side, no power, cuts out, battery issues, wheel clutches, speed control switches, wires. 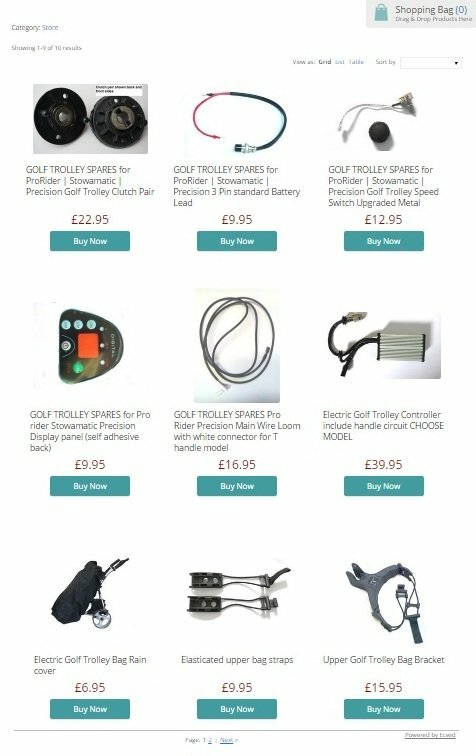 Maintenance and best ways of storing or using your trolley over the winter. On this page is provided as much support as possible to enable you to diagnose most issues. See our support posts for more detailed information to read. Download PDFs or view videos to help fix and troubleshoot issues with your golf trolley. Why is my electric golf trolley is pulling to one side ? Pulling to the right ? Pulling to the left ? If your trolley is pulling to the side especially when going uphill or putting more power on then this can be a couple of issues. It most likely needs a new RIGHT or LEFT wheel clutch. If your trolley is pulling to one side or the other then its most likely the clutch is worn or faulty. The golf trolley wheel clutch is a mechanism attached to the inner wheel by two cross screws and prongs which take force of the drive through to the wheel itself. If your trolley is pulling to the RIGHT especially when going uphill or putting more power on then this can be a couple of issues, but most likely a needs a new RIGHT wheel clutch. If your trolley is pulling to the LEFT especially when going uphill or putting more power on then this can be a couple of issues, but most likely a needs a new LEFT wheel clutch. Keeping the wheels on the trolley method. 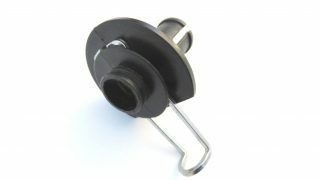 Your golf trolley may only be needing the centre hub called a golf trolley clutch. A quick test is to see if any of the the wheel clutches are turning both ways. If the inner part, the drive lock of the clutch turns both ways then this would be why there is no drive transferred to the wheel. 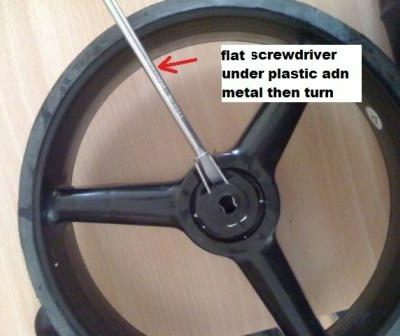 Take the golf trolley wheel off and lay on the ground with the inner hub upwards, then it is possible to make sure the inner hub is rotating one way only, (see photo). For a left wheel the inner metal hub should only rotate ANTI-CLOCKWISE. 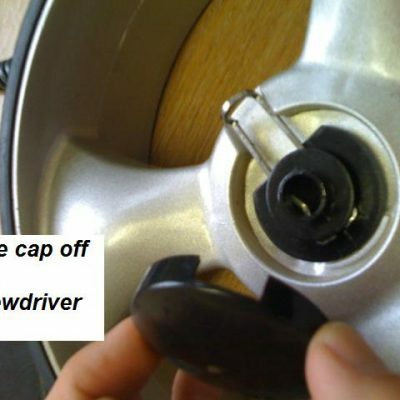 and for the right wheel it should only rotate CLOCKWISE. Prop the trolley up safely and put the power to slow and carefully see if you can hold GENTLY back any wheel. This will test if the power is getting to drive the trolley forward through each individual wheel clutch. There can be many reasons for the golf trolley not pulling or driving correctly. 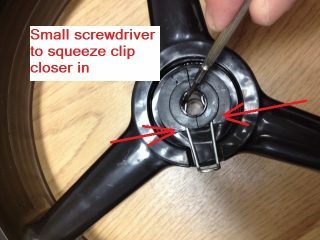 Easily replaced by a GOOD FITTING cross screwdriver to fit the two screws securely on the hub at inside of the wheel. Be careful not to burr or damage the screw heads, its advisable to put the wheel on the ground so as to put weight on the screwdriver for unscrewing. 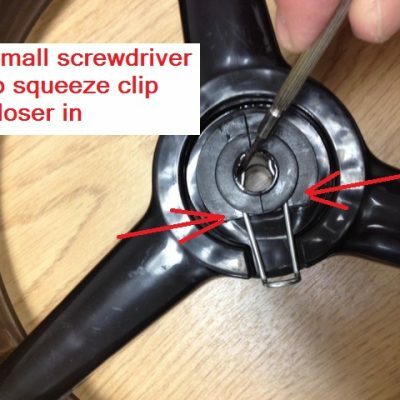 Unscrew both screws, then a large flat head screwdriver to prise off the whole metal clutch system, this can be firmly in place, so take your time and gradually go round prising off around the circumference. Golf Trolley Clutch broken, faulty or worn needs replaced. Taking the wheel clutch off the trolley, lay it down with the clutch side up (inner hub) this will reveal two silver cross screws. CAUTION: These screws due to their position on the golf trolley may be well stuck in place from debris, wet, over the years etc. It is recommended to use a GOOD fitting cross screwdriver on these on trying to remove them. A small tip would be to give them a spray of WD40 or similar and leave for a hour or so to soak into behind the screw holes, this should help loosen any seizure. On placing the screwdriver on the screws it is recommended to lean with a bit of force so as the screw doesn’t burr. IF it is still tight a pair of mole grips on the screw also will help loosen it. 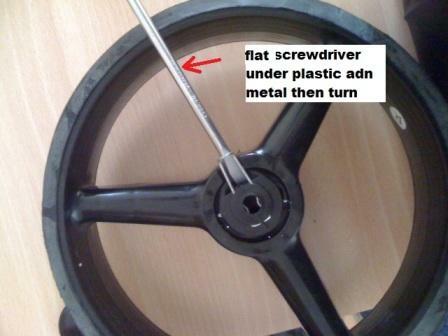 Once the screws are removed prize off around the wheel clutch with a large flat screwdriver or similar tool. Going around the outer rim of the clutch bit by bit. This may be needed due to over time dirt sticks the clutch mechanism in place. [remember each clutch is either left or right] . 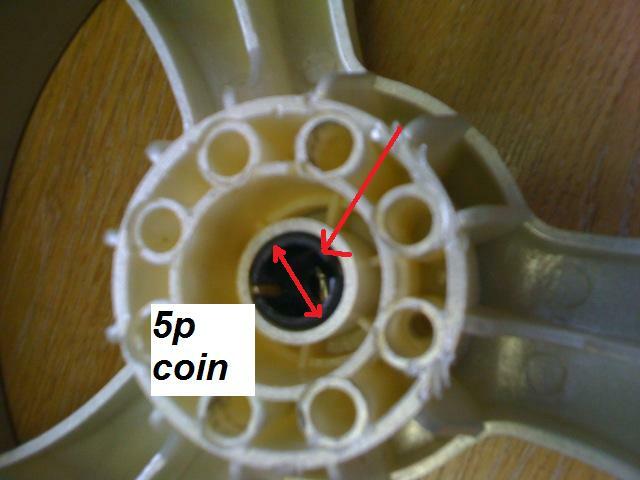 The Right clutch inner metal part will move only clockwise and a clutch for a LEFT wheel only freewheels Anticlockwise. Once the original clutch has been removed, place the new clutch inline with the screws holes and press home into place then screw in the cross screws. If you have checked your wheels are on the trolley correctly and also the clutch tests above then if the motor is turning the spindle axle on the trolley and it is not moving forward or it is only moving to the side, where the trolley is only being driven from one wheel rather than both trolley wheels driving power then below are a couple of checks and tests to determine if where the problem lies and find the fault. Make sure the axle pin or drive pin is in place on the end of the axle usually around 45mm from the end of the axle. 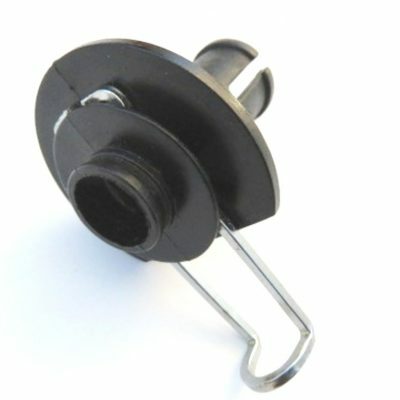 This pin works by engaging the clutch to drive the wheel in motion. If the pin is missing then a new pin is needed. These drive pins are high tensile steel and are made as a spring pin so as to fit very tightly in place through a hole near the end of the axle. The hole can vary in distance and makes no difference to the clutch needed as the clutch will slide up to the point where is meets the axle spring drive pin. 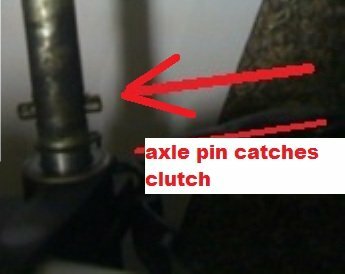 The axle drive pin usually located around 45mm from the end of the axle but can vary along the axle, some older models the pin is around 70mm from the end and this makes no difference to the clutch model as the clutch slides up to the pin. The roll pin is approximately 4mm diameter and fits to the mild steel axle by way of a 4mm hole drilled in the axle. Photos for stages of fitting the newer axle to gearbox connector. How fit from the house a electric golf trolley roll pin into the axle for the wheel clutch to catch onto and drive the wheels forward. Golf Trolley Axle Pin broken or missing needs replaced. How to fit the axle roll pin is fairly easy but needs patience and persuasion. Tools needed are hammer, point nose pliers or grips. First take the pliers grip the roll pin and place it over the axle hole, then a while holding in place a couple of whacks with the hammer should see it gradually pop into place. Some people will use grips to close down the spring diameter in the roll pin but this in my opinion can degrade the spring effect of the roll pin meaning it will lose its grip when in place in the axle possibly causing it to come free prematurely. In this case a small amount of metal glue may be needed to hold the axle roll pin more permanently in place. In some of the wheels there are wheel spring clips holding each trolley wheel to the axle. This works by a small groove on the end of the axle and as the wheel is pushed fully on the spring clip closes around the axle inside the groove on the end of the axle, holding the wheel in place at the end of the axle and in place for the 4mm high tensile steel spring pin from the axle as described above so it can transfer rotation to the clutch on the wheel. 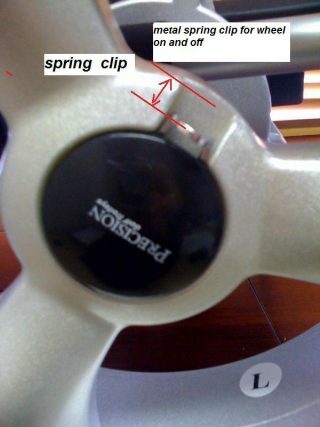 Fitting a new wheel clip to the wheel can be tricky but not difficult to fit this component to the wheel itself. Photos taken opposite will show the parts and tools needed for the fitting procedure. Tools needed are hammer, point nose pliers or grips and sometimes a 5 pence coin. 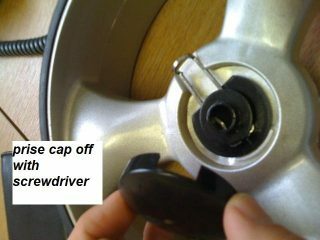 Remove the wheel, putting a flat screwdriver in behind the wheel cap and carefully prise the cap off, it is sprung in place. 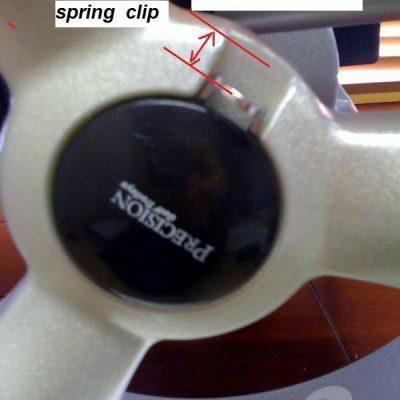 Turn the wheel to the other side to view from the clutch side, best to remove the clutch method as persauding the clip out from the cap side will likely break and prove difficult to remove. therefore pushing it from the clutch side is better. 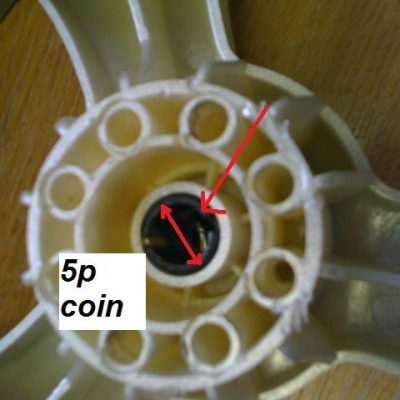 With the clutch removed get the 5 pence coin and place it over the rear side of the wheel clip and knock out with a small extension or similar by hammer. This 5 pence coin should be the correct size for hitting out the clip. Fitting the new retention clip is very easy once the old part has been removed then the new one presses and pop spring locks into place from the cap side. Then reassemble the clutch onto the wheel and press fit the wheel cap back on. 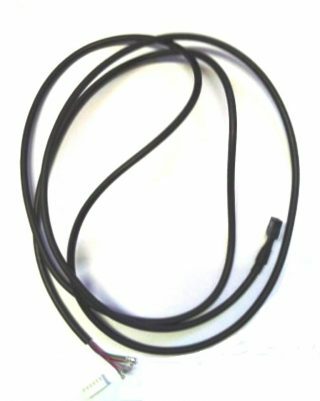 If your golf trolley cuts out it may only be needing a new golf trolley battery lead. The best way to test the battery is by testing it on the charger. This method is not very thorough or conclusive but if it shows up something then well worth the simple check. 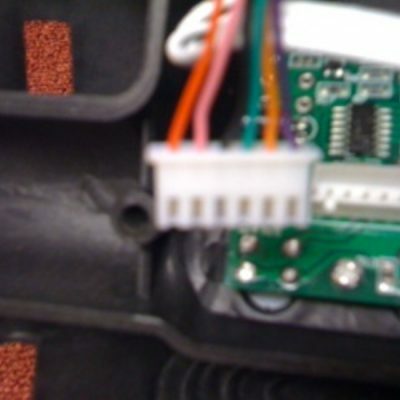 Putting the battery on the charger is a simple method of diagnosing a fault. It is not full proof and proves only if it shows up. The charger plugged in to the mains will show a green light, then if plugged into the battery (even if the battery is fully charged) will initially show a red light. Then depending on the amount of charge in the battery left the charger light should stay red for . i.e. if fully charged the red light will change to green within a few seconds. If needing charged it will stay on until the battery makes it to a full charge. This proves if the lights have gone from green to red then the battery is allowing current to pass through to the end of the lead. This problem with this is if the connections in the battery lead are not very good it might work for the charger and light up the display but as soon as the trolley demands more current for the motor and the connections are poor it can shut down the power to the golf trolley completely. Battery Lead Connection Broken ? Starting with the actual battery wiring and making sure it is secure at both sides. It is advisable to check each battery lead connector. 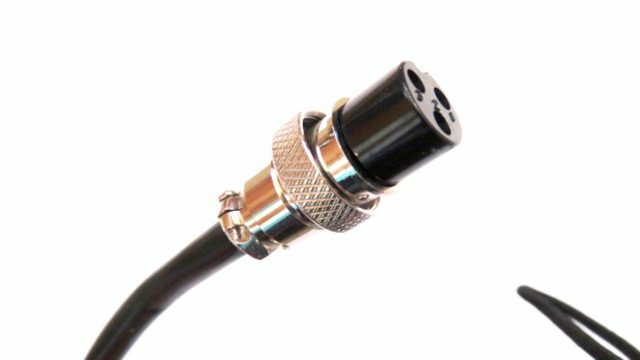 Starting with the black round plastic 3 pin connector and the metal connecting sleeves inside are not loose or have dirt or water in them. So a good clean out with visual check and if you believe water may be a factor, then a spray of WD40 or similar inside the terminals to help disperse any water inhibiting the connection. Golf Trolley Battery Lead broken internally needs replaced. 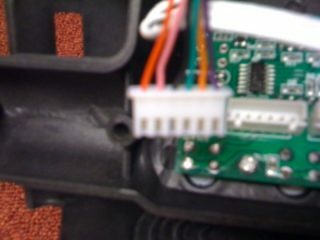 There are two terminal connections on the battery lead connecting to the battery. One is to a red (positive) terminal and the other to a black (negative) terminal. All needs to be done to replace the lead is remove either the screw or and nut from the battery terminal and same for both sides. Replacing is just a matter of making sure you keep the black lead and red lead to the black and red terminals. First do the checks above with the battery etc. If you suspect there is power getting through to the golf trolley then the next thing to check is all the connectors. Start under the battery tray there is a rectangular housing which holds the controller box. 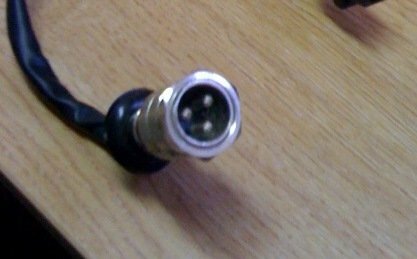 Unplug these connections checking them and spaying them if necessary with WD40 or similar. Next check the connections at the handle. These are at the (PCB) Printed Circuit Board where the drivers controls for the trolley are located. 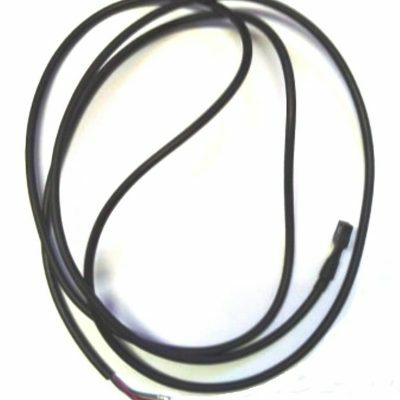 There are main wire connections via a small white plug connector, the speed switch plug. Do the same as above for these connections. First thing to check is the the controller box function. Testing this can be tricking to diagnose unless you have a test bench set up. Other than a test bench, then there are only two ways to get an idea if the golf trolley controller box is not working or damaged. These two methods are not a very conclusive; 1. putting an ear near it, then switching the power drive on at the wheels you should hear a click from the controller. 2. smelling the controller itself for any burnt smell. Checking the LED handle circuit board. 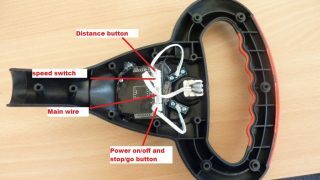 A damaged controller can also affect the display and/or LED in various ways. Normally a circuit board malfunction will show a number of faults. i.e. Sometimes the numbered display is corrupted, and /or the buttons don’t function, and / or seemingly there is no power at the display circuit, and / or no reaction from turning the speed knob. We would recommend changing both the controller and the circuit at the same time. The reason for changing both at the same time is because damage could occur if one faulty component is left in place ,then replacing the working spare part to get damaged by the other faulty one still in place. Meaning; say you have a damaged handle circuit and you replace the controller, then doing this can sometimes damage this newly replaced controller. OF course vice versa with the controller box. Golf trolley power cuts out a component needs replaced. Some components are very difficult to determine if they are not working other than a test bench. No power going to the trolley and the golf trolley power cuts out, then with all above being tested for it is a case of basic tests which are not conclusive but can sometimes help. 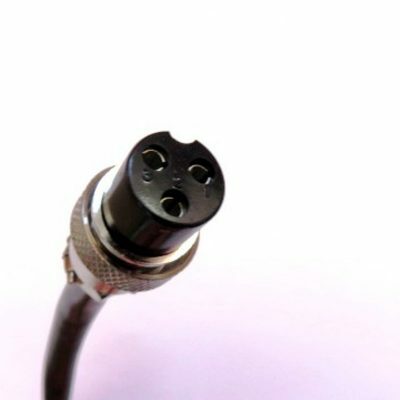 There are three main connectors as seen in the above photo. One goes to the battery plug socket connector. Another goes to the main wiring in the trolley. 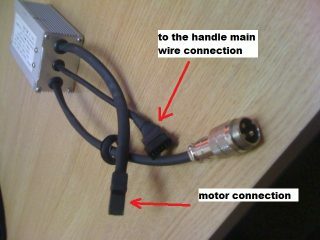 The final connector is to the motor. With the exception of the battery socket the others just unplug and re-plug back together. The battery socket tends to have a large nut holding onto the battery tray. Sometimes it can be tricky to remove these wires from the small hole in the control box where the wires feed through. 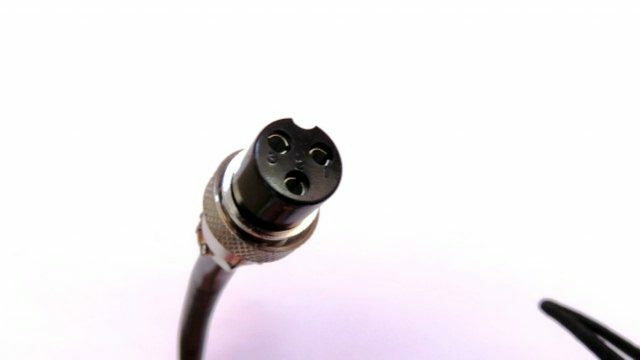 They can come out in sequence, with the motor wire recommended to come out first before the main wires connector. 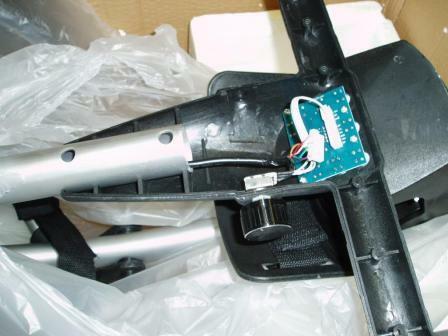 The battery lead connection to the golf trolley. On the battery lead connecting to the battery. One is to a red (positive) terminal and the other to a black (negative) terminal. In order to replace the battery lead remove either the screw or and nut from the battery terminal and same for both sides. Replacing is just a matter of making sure you connect the black lead to the black terminal and red lead to the red terminal. check or replace the battery connection lead See the golf trolley battery lead page for a more in depth explanation. There are two main connectors as seen in the above photo of the display circuit. One goes to the main wiring in the trolley. The other connector goes to the speed switch dial. There are usually four very small cross screws holding the display circuit in place. Procedure is to remove the back of the handle; the T handles have 6 black cross screws along the handle and two silver cross screws, the Round handles have twelve cross screws once taken out, unplug the two white connectors; main wire and speed switch, then unscrew the four cross screws and remove the circuit board. Speed control numbers jumping missing not going up and down properly. 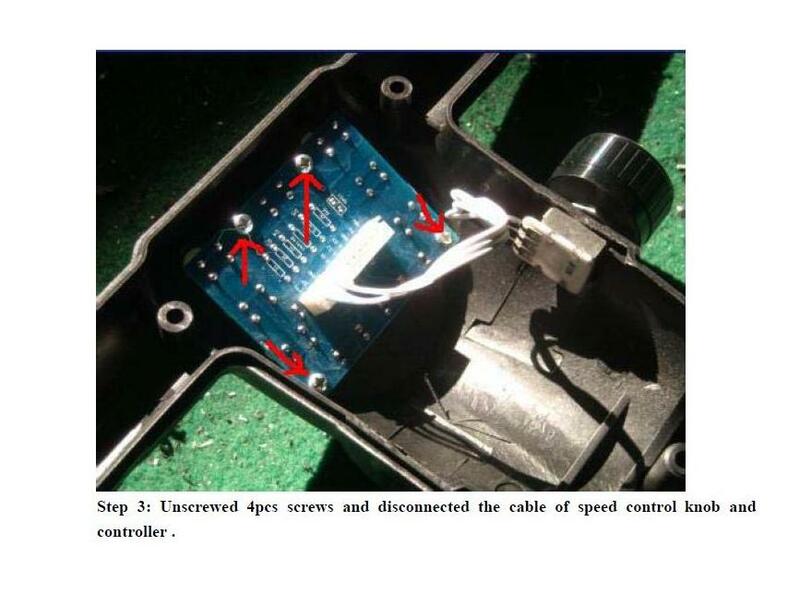 There is no basic method of testing the LED speed control switch knob. It rotates and is meant to increase the speed numbers smoothly normally from speed 1 slow up to speed 7 fast. Depending on the controller of course the old controllers only had speed 1 to 5 a newer upgrade controller available from the store will increase the range to speed 7 without having to change anything else. 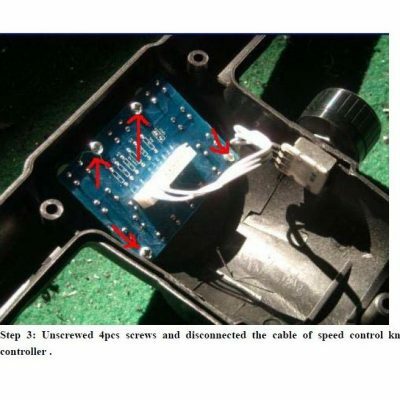 To see more pages on specifically explanation of a speed control switch. Try turning the speed control switch knob down to the lowest setting and the display should show 0 then switching it up the speeds slowly should gradually increase the speeds until it reaches 7 or 5 if you have the older controller box installed. IF the numbers stick say at speed 2 and keep turning makes no difference until the end or sometimes just before the highest setting it suddenly jumps straight from say 2 to 6 then this would indicate the rotary speed switch (potentiometer) is faulty and needs replaced. If the stop/go button is not working, hopefully there is no tear in the display cover which may have let in water and damaged the circuit. 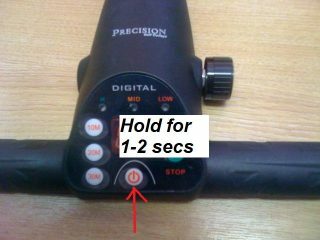 If just the go/stop button, then it can sometimes be the contact of the micro-switch against the display cover which may be out of alignment etc. It would be worth checking the micro-switch itself by either peeling back the display cover (with the point of a sharp knife -its sticky backed and will stick down again) OR taking the screws off the back of the handle and testing it by removing the circuit board. 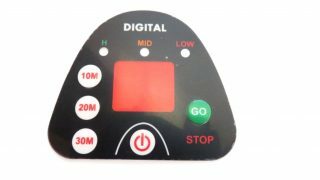 The display controls have several buttons: power on / power off button which some golf trolleys also acts as a stop / go button; Automatic distance buttons 10 meters, 20 meters, 30 meters. Any of these buttons must be in contact with the under-surface of the display cover in order to work. 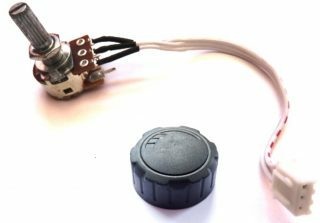 Other issues can be a failure in the individual micro-switch or the rubber cap which fits on top of the micro-switch to enable contact with the display cover is broken or damaged. This can be check by either peeling back the cover then re-sticking it down or from the inside by removing the back of the handle and removing the handle circuit board to view. 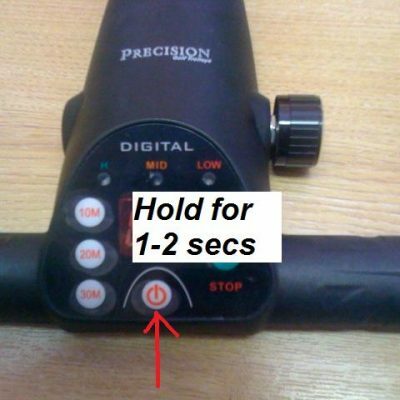 It is recommended to replace the speed control switch if the numbers are erratic this normally means the speed control knob has had a knock somewhere at some point in time. Possibly putting it in the boot of the car or knocked when putting a club away. 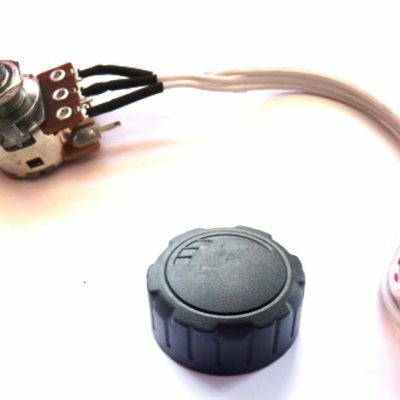 golf trolley speed control switch component needs replaced. Starting with the actual handle as before and above remove the back of the handle via either 8 or 12 cross screws and once removed access to the inside where you will notice the white square 3 pinned connector and wire is plugged into the handle circuit board. Unplug carefully from the circuit board, there is also a small nut holding the switch in place . On the T handle this is easy to remove with the GTX GXT handle it is a little more difficult most likely requiring thin point nose pliers to gradually remove the nut . The new switch comes with a washer and nut and if ordered a knob also. Over many uses the display cover can get damaged or worn out especially where the stop start button is. This is used as much as 200 times per round and occasionally finger nails can wear into the plastic causing a break and eventually over time a hole through the panel cover. This can cause many problems with dirt and water ingress through to the main circuit board in the trolley. It is recommended to replace the display panel cover if it looks like it is worn as allowing any water into the handle through the display can cause many more expensive issues. golf trolley display cover needs replaced. Starting with the actual handle the display cover is sticky backed and once the old one is removed and after peeling off the protected backing, the new one just sticks in place. To get the old display cover off, a point of a sharp knife into the corner to catch a piece of the old panel gradually peel off. If necessary a bit of a scrub with white spirits to clean the surface of the handle to allow the new display to stick in place without coming away prematurely. The golf trolley main wire is the wiring backbone of the trolley. It connects the handle display circuit controls to the controller box. 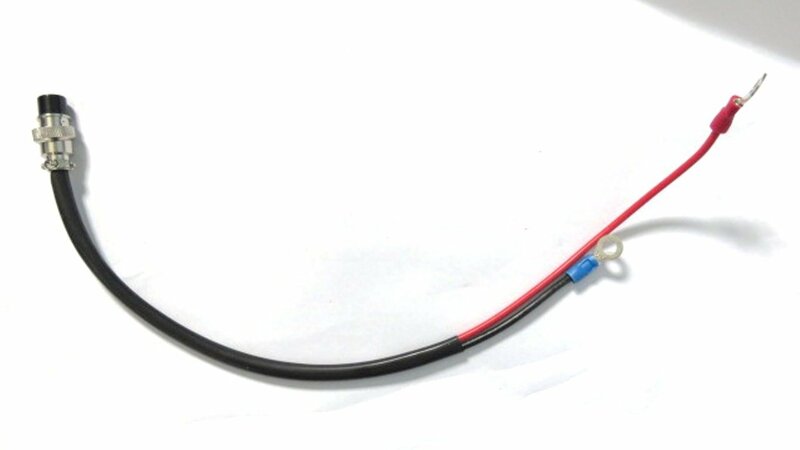 The main battery current runs into the control box and is reduced in voltage and current to enable it to go through to the handle circuit board (PCB) . These very small wires are usually of around 6 in number. 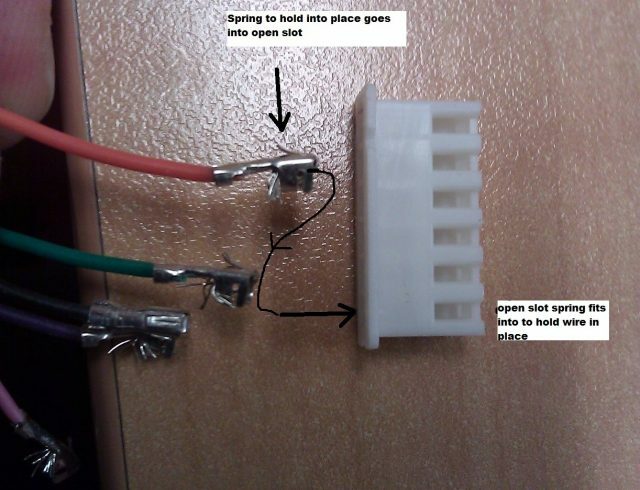 The colour sequence is shown opposite in the photo and with the white connector metal spring plates up and the location grooves down on the white PCB connector the colours from left to right are as follows; purple, orange, green,black pink and red. 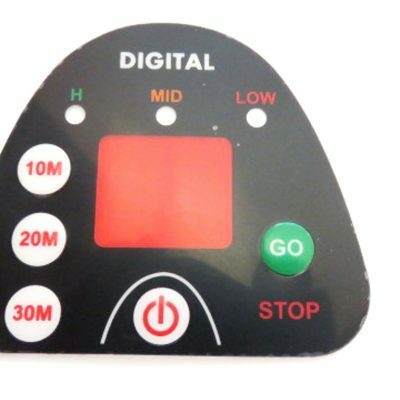 The handle PCB then delivers the golfers controlled instructions back down the wiring to the control box telling the control box tor relay the correct amount or 12volt current to the motor for the set and desired golfers speed required. 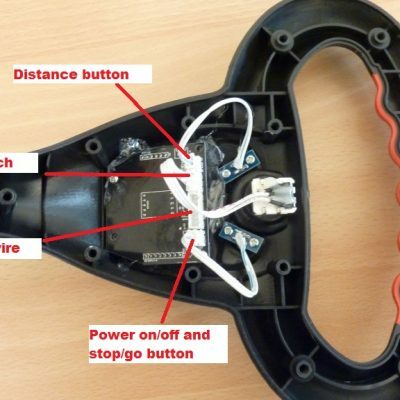 There is no basic method of testing the wiring loom other than looking at the wire especially at the fold in the golf trolley to see for visual damage. Many times any damage is not easily seen and can be caused by the main wire getting trapped at the fold, nearly always when assembling the trolley erecting the main two struts. Looking for this is not always obvious so sometimes the only tell tale sign is a kink in the wire covering. Other than getting a current flow tester to check any of the main wires for breaks. 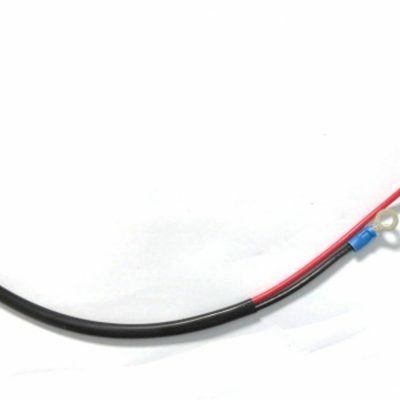 It is recommended to replace the complete main wire at once. 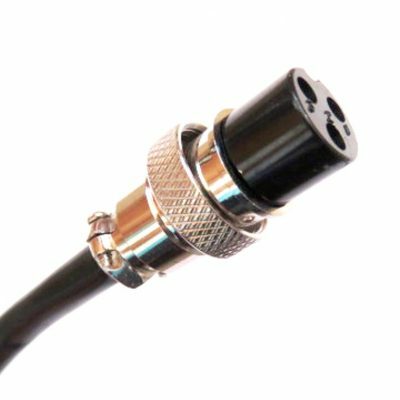 Damage is not only very difficult to find but trying to repair satisfactorily is very difficult and could end up shorting the wires and causing more substantial damage. golf trolley main wire needs replaced. 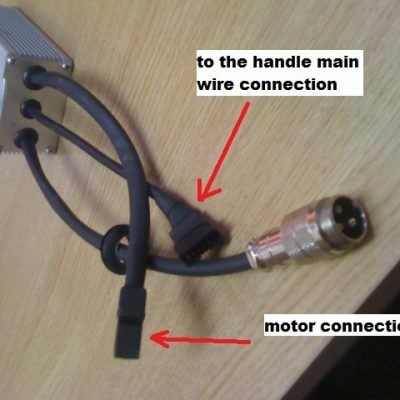 Fitting the wiring can be tricky, the following is some help. The wire runs through from the control box connector (under the battery tray) through a hole/s (rubber grommets need taken away) in the frame of the side of the lower bars and then through the tubing to behind the front wheel out then fed up to the handle. For fitting the main wire, please make sure you loosely/GENTLY wrap the bare wires some behind the others to try to make a cone shaped point first so as to thread though the trolley from the control box side then through the bottom spar toward the front wheel use a large head flat screwdriver or similar to catch the wire being fed to the front wheel (by blocking off the left bottom spar) then up to the top handle. Once the main wire is up at the handle top ONLY then should the wires be clicked into the white connector for connection to the handle PCB. 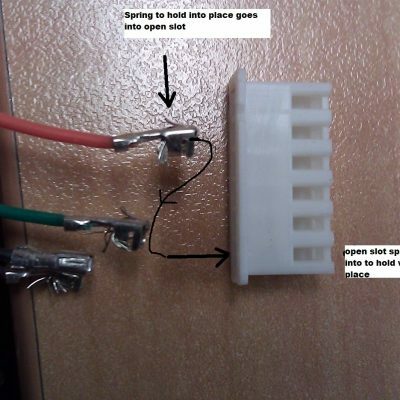 (check the correct place for each coloured wire in the white connector). Pull out the rubber grommets in the frame at the bottom spar as it will fit better through the trolley, don’t worry about replacing these it will be fine, they are there for regulation tests.